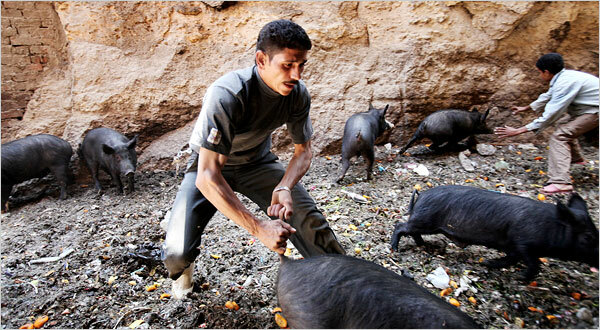 Since the Egyptian government killed all their pigs, the Zabaleen trash picking community of Cairo have had no use for the organic waste they used to collect as food slops, thus creating a trash crisis for the city at large. NPR reports on a couple of positive developments. 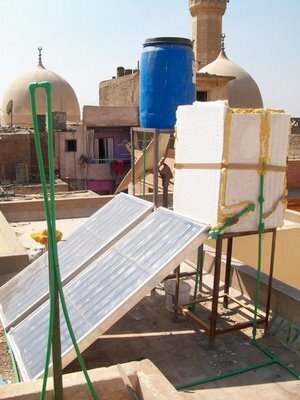 One, the Zabaleen neighborhoods now smell better (though other parts of Cairo now stink more) and an organization called Solar Cities has been building bio-gas and solar fueled heaters for the Zabaleen providing hot water to a community that has never had it before and creating a use for some of the organic waste plaguing Cairo. Listen to the Weekend Edition clip and check out production assistant Kimberly Adams‘ post on NPR’s blog Soapbox describing her recent trip to Egypt and Solar Cities’ work there. Great Zabaleen article in the Times accompanied by a short video and these stellar images by photographer Shawn Baldwin. It is a world of shocking odors and off-putting sights. But it is their world, the world of the zabaleen, hundreds of thousands of people who have made lives and a community by collecting Cairo’s trash and transforming it into a commodity. Recommended by unconsumption and SXSW. A friend at the UN researching nongovernmental organizations sent me this link today, to The Association for the Protection of the Environment (A.P.E.). Since 1984 this NGO has worked to organize Egyptian garbage collecting families in and around Cairo. They run a composting center, health programs for mothers and children and a paper recycling program. They also coordinate a series of microfinance activities, helping families make and sell rag rugs, patchwork and recycled stationary. The funds raised go into community projects like new roads, schools, clinics and tree planting. Sadly, the links to buy their goods don’t seem to work or I would pimp them here.